On average in an identified prison cell in Colombo during the month of March alone, 3,950 calls have been made from within the prison to locations even overseas while around 360 calls had come in, Senior Deputy Inspector General of Police - Crimes, Organized Crime, Narcotics Range and Commandant - Special Task Force Sri Lanka M.R. Latiff said. He said one of the main legal challenges faced by Sri Lanka in combating organised crimes is the lack of exclusive statutes. Addressing a seminar organised by the Bandaranaike Centre for International Studies on “Transitional Organised Crimes in Sri Lanka – Dark Side Of the Hub” yesterday, he added that the lack of coordination between the law enforcement, prisons, rehabilitation and courts, is a major obstacle in combating crime. He noted that simply sending a drug offender to prison is counterproductive and instead what we need is to have them rehabilitated. In a prison system that is designed to accommodate 8,000 prisoners, it accommodates around 600,000 prisoners which not only leads to the overcrowding of prisons but also leads to a whole plethora of administrative challenges. Referring to a study done by Dr. Nimali Wijegoonewardene earlier this month, he said nearly one third (31.1%) of prison officers were found to be suffering from a state of emotional, physical, and mental exhaustion caused by excessive and prolonged stress, known in medical parlance as burnout. He said that in order to overcome these challenges, Sri Lanka needs an intelligence lead policing. He went on to say that one of the social issues that hampers investigations is exclusive media coverage including social media, creating a public outcry or fear psychosis, CCTV footage of crimes being released hampering criminal investigations and even creating diverse opinions, lack of public cooperation, social - economic issues, morals and value based society. Outlining the administrative challenges in combating organised crimes he said the lack of coordination and cooperation among the multi-stakeholders of the criminal justice system is also a major shortcoming. He also noted that restrictions in cash flows also hampers their operations in large scale drug operations and this is one main reason that only smaller quantities of drugs are being caught. However, he said that these obstacles are being addressed currently. 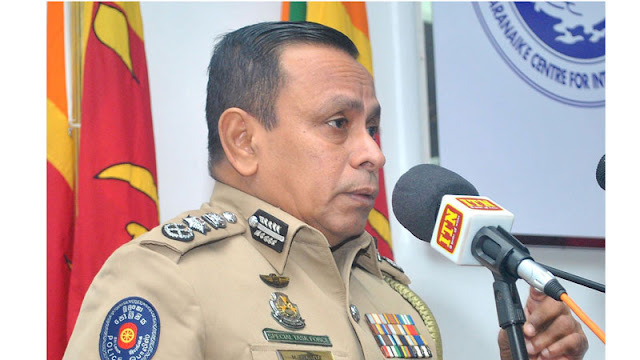 The lack of police officers in handling law enforcement effectively is a major obstacle, said DIG Latiff adding that in Sri Lanka the ratio of police officers and civilians is around one police officer per 246 civilians. However, he noted that despite the lack of police personnel, the rate of crime, in comparison to the pre-conflict era has reduced in the post conflict period with police relationship with the public having improved significantly. However, he said in order to effectively combat transitional organised crime, it is mandatory for Sri Lanka to introduce and enact stricter laws that are specifically designed to curb organised crimes and drug trafficking.